Several of my friends play poker online. I know they’ve all lost money. Is this legal? I bet this question is of interest to lots of college students, with over 20% reported visiting online gambling sites monthly. With the proliferation of online gambling in the U.S., the incidence among college students participating in the activity is steadily rising. Laws surrounding online gambling can be somewhat confusing, and adding to that confusion is the continual debate surrounding legalities. We'll identify some of the key aspects of online gambling. Online gambling is big business, reportedly worth an estimated $6 billion in the U.S. alone. Since the ruling by the Justice Department lifting its earlier position that online poker gambling was illegal, it has opened the doors to new players, including college students. The dramatic increase in usage of online gaming sites by students indicates that payment restrictions are no longer an obstacle. According to research, around 67% of all college students bet on sports which is second to poker in popularity of gambling games. 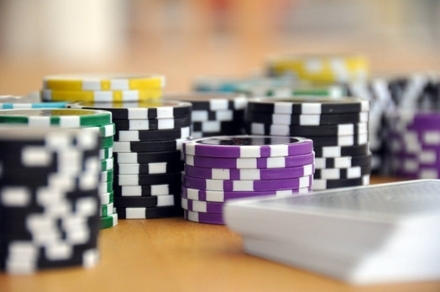 There are a number of reasons to explain the rise in popularity of online gambling. Advances in technology for one made it easier for anyone to make a bet or participate in a game of poker simply by downloading a gaming app on their smartphone. In tandem with the global adoption of hand-held tech was the rise in online gambling and gaming websites. It's so easy now to get a quick fix at college by logging in from your mobile phone. A verified credit card is all that is required to gamble online so it's easier than ever to start playing. Other methods of payment such as Ukash vouchers are being introduced by casino websites to entice new players. This new anonymity to online transactions and gambling, something that physical casinos lack, adds to the uptick. Gambling is now socially acceptable and heavily promoted in the media. There are even movies glamorizing poker, casinos and gaming. The rapid upsurge in usage will consequently lead to a rise in addiction. Many teens and young adults are drawn to the instant gratification and the thrill and hope of quick cash that online gambling provides. More than half of the 16 million U.S. citizens with gambling addictions are teenagers. Clinical research has shown young gamblers are more susceptible to addiction as many have altered perceptions that they are more than 50% likely to win a game or bet. The legalities of online gambling from state to state vary in a mashup of priorities, philosophies and definitions. California, for example, has no specific laws for online gambling and offers a variety of regulated gambling options. Florida is the opposite with highly restrictive anti-gambling laws, especially where poker is involved. State law prohibits gambling online or running gambling businesses in Louisiana while Utah is the least likely state to regulate poker and online gambling. Washington is the only state to make placing a bet online a felony. So, the answer to whether it is legal or not will depend entirely on your state, plus the propensity of your state to enforce these laws. Oh, it's not really gambling when you never lose - Jennifer Aniston.